Pizza – who doesn’t love a slice? Unfortunately, store-bought pizza is inevitably unhealthy and who’s got time to make pizza at home except as a special treat. I’m a pizza-lower so when I discovered these zucchini pizza bites, I was very happy indeed. Note: If you’re looking for more recipes, I recommend you the The 21 day Sugar Detox by Diane Sanfilippo. 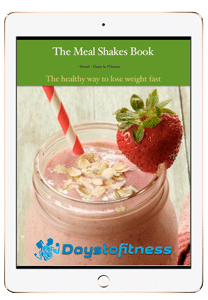 Diane have gathered easy and low sugar recipes along with a well crafted plan to help you go get rid of sugar and effectively lose weight. Find my complete review here. 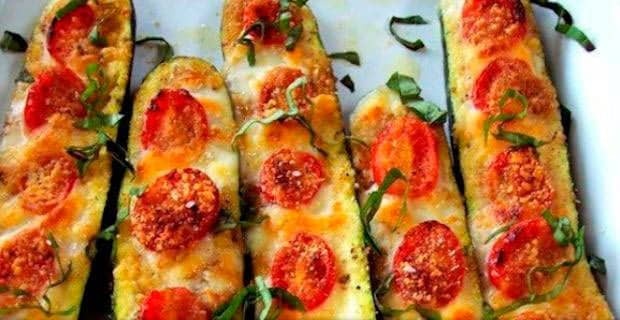 Take the zucchini slices and place them on a baking tray. Pop them under a pre-heated grill and cook until they begin to brown. Remove from the grill, turn them over and spread the slices with the tomato paste. Sprinkle the slices with the grated cheese and bacon/ham and then cover with the sliced tomato. Place the slices back under the grill and cook until the cheese begins to turn brown. Remove and serve immediately. Next Article What is Slendesta ? These look delicious! I would like to make these but I’m wondering, do you cut the zucchini lenghtwise in two halves or in slices? You should try it ! The zucchini is sliced lengthways, so you can have long slices to be the base of the pizza. Enjoy it. I know these are high in fiber, but I thought these were sugar free? These meals are full of carbs and sugar. 17.6 carbs & 11.1 Grams of sugar. That is a lot. Just curious as to why you are labeling these Sugar free Snacks?